I had an idea of what I’d do after college, and believe me beating cancer and baking gingersnap cookies in the family garage because of it was certainly not my plan. The funny thing I've come to learn about life is that you don't know what's going to happen until it happens, and that is probably a good thing. My mom and I, mother-daughter duo Laura and Susan Stachler, own Susansnaps, specialty gingersnap cookie company. I know it seems a bit crazy to have a company based solely on gingersnaps but so is the story how we got started. I was 22, a week before my college graduation, when my mom said, “Sweetie, you have cancer.” I was diagnosed with Hodgkin’s, the same cancer my Aunt Susan (yes, I am her namesake) died from at twenty-eight years old. Coming home to months of grueling chemo and radiation was not much of a graduation present! What makes this even more extraordinary is that my Dad and I went through chemo within the same year and, at times, alongside each other. Seeing the two of us hooked up to IVs simultaneously was almost more than my mom could bear. Hearing that ginger is a natural stomach soother and cookies always make people smile, my mom created a recipe for gourmet gingersnaps, which she coined "Susansnaps" in memory of her sister Sue and in honor of me. What started as a little idea to bake a few cookies out of the family garage has grown into something much bigger than we ever expected. Today, my mom and I are baking thousands of snaps a day, shipping across the U.S., and running our charming retail shop in Atlanta, Georgia. Never would we have believed years ago when we baked a gingersnap cookie, a Susansnap, that it would carry a story that would come to mean so much to so many. Our story has touched thousands of people nationwide through our media attention, most notably: ABC World News Tonight with David Muir, TODAY, Redbook, O Magazine and CNN. We've found that people like to believe that good things can come from bad experiences and that the unexpected can really come true! That is what our story and Susansnaps is all about. I also never knew my mom and I would write a book or even have a reason to, but we did and we do. We are happy to share that Sourcebooks is publishing The Cookie Cure in February 2018. The Cookie Cure chronicles the surprising twist of fate that would forever change the lives of both my mom and me in a story of love, loss, success, and hope. From being diagnosed at twenty-two years old with the same disease that killed my mom’s sister, Sue, to building a cookie business that would uniquely intertwine my mom, my aunt, and me, The Cookie Cure is about learning to carry on when things get tough and letting life take you places you never imagined. 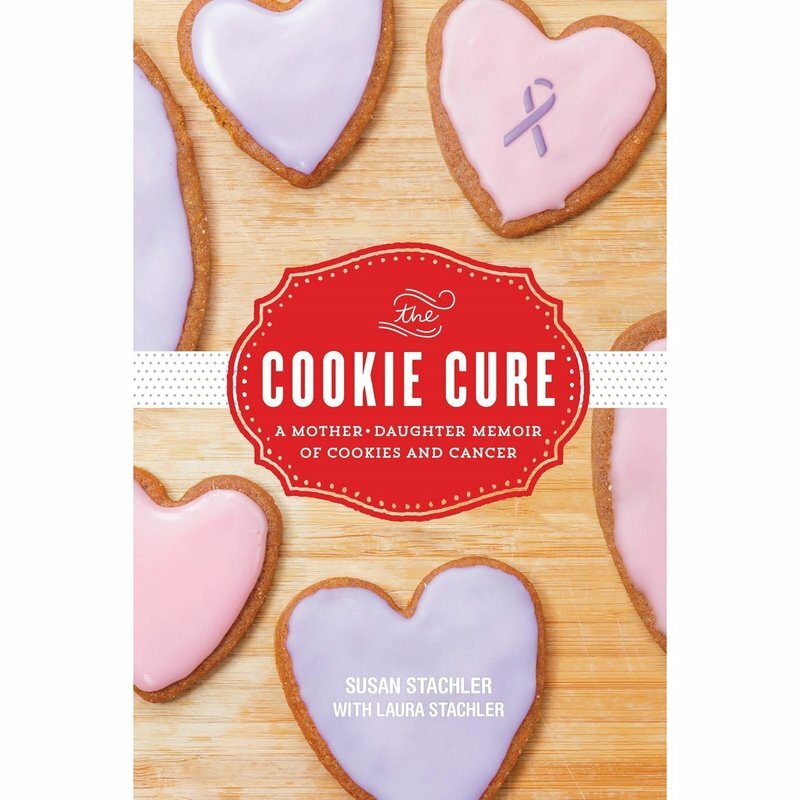 Above all else, The Cookie Cure shares the unmatchable and moving bond between a mother and her daughter. Life can change in an instant, but I hope our story is proof that you can choose to be Unsnappable. Susan and Laura Stachler are the founders of Susansnaps, a nationally recognized cookie company, and the founders of the Susan Carver Foundation, which donates gifts to patients undergoing cancer treatment and raises funds for cancer research. They live in Atlanta, GA. Visit them at www.susansnaps.com.